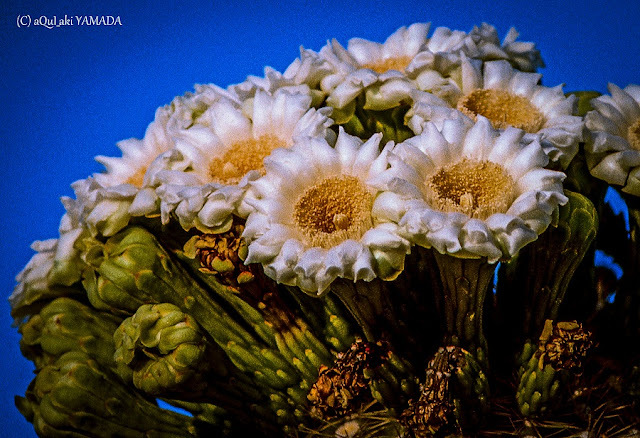 The roots of a saguaro grow out from the plant in a radial fashion, several inches under the ground. 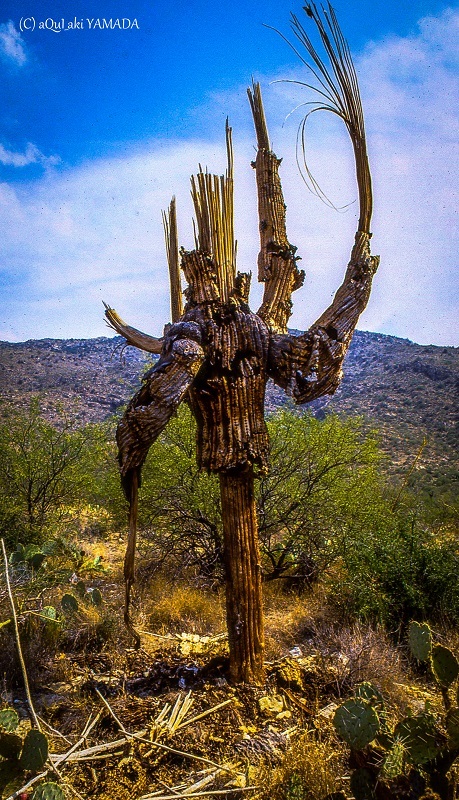 During a heavy rain, a saguaro will absorb as much water as its root system allows. To accomodate this potentially large influx of water, the pleats allow the flesh to soak up water, expanding like an accordion. Conversely, when the desert is dry, the saguaro uses its stored water and the pleats contract. 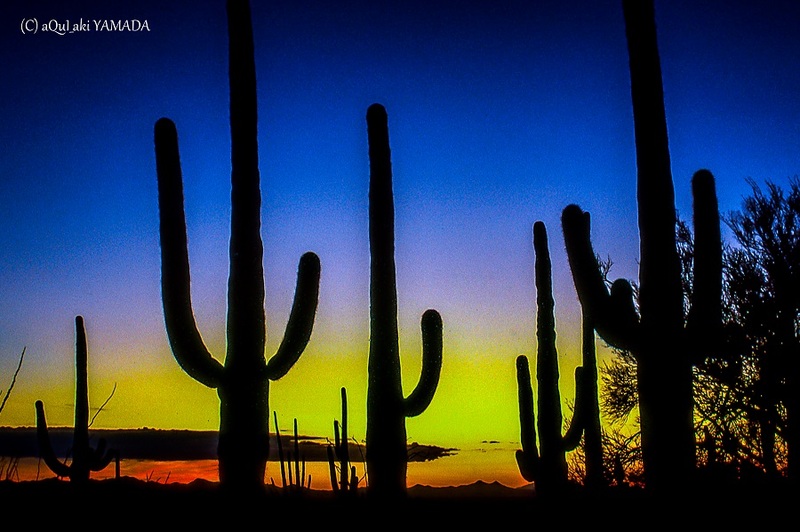 Because the majority of a saguaro is made up of water, an adult plant may weigh 6 tons or more. This tremendous weight is supported by a circular skeleton of inter-connected, woody ribs. The number of ribs inside the plant correspond to the number of pleats on the outside of the plant. 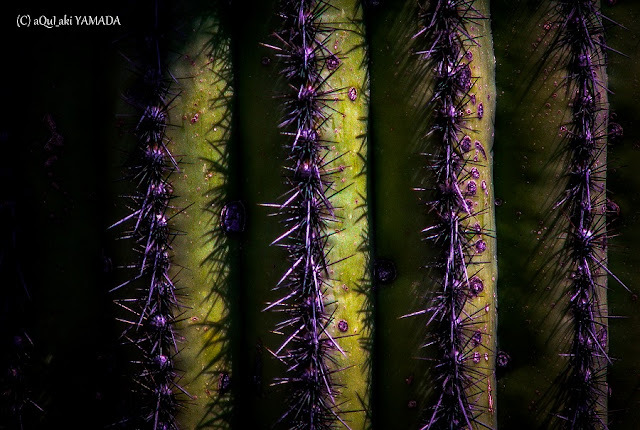 As the saguaro grows, the ribs will occasionally fork and the corresponding pleat will also fork at the same place. 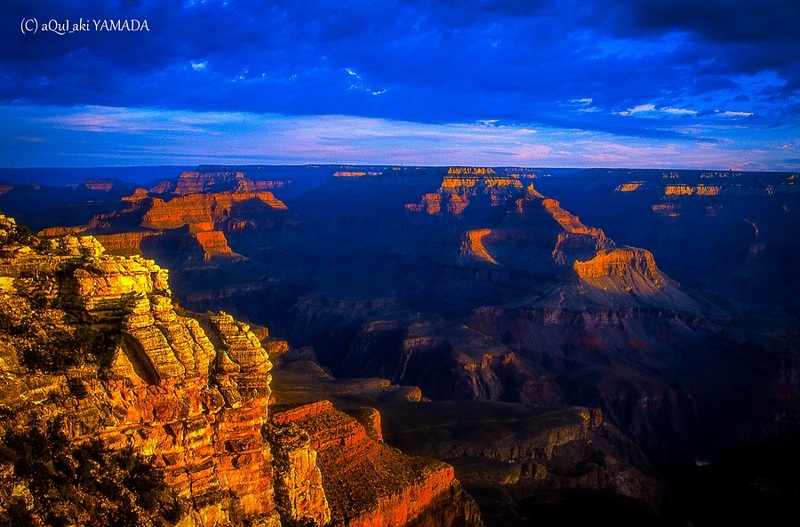 Sometimes saguaros have the chance to soak up a larger than usual amount of water - such as after a large summer rainstorm. The ground can become very soft after such a storm and with the added weight of the new water, the heavy cactus sometimes fall over or lose an arm.